Criminal defense lawyers with success assisting defendants with felony, misdemeanor and traffic crimes at all stages of the ciminal process including trial. You Have Rights. Let Us Protect Them! When facing criminal charges we at Billingsley & Associates know it is quite difficult, frightening and trying for you and yours, but IT IS VERY IMPORTANT YOU SEEK ATTORNEY REPRESENTATION as soon as possible. 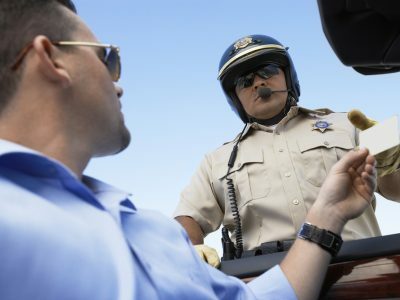 Legal representation will make a difference in the outcome of your case, regardless of whether you are facing a felony, misdemeanor, DUI or traffic ticket, and we would welcome the opportunity to meet with you for a no commitment initial consultation to discuss the charges and possible defenses that relate to your particular situation. If you would like to learn more about process of criminal cases in Oklahoma from serious felony offenses to simple traffic offenses click HERE. If you have not yet selected an attorney, we urge you to set up an appointment for a FREE Initial Consultation. You will not be passed over to a legal assistant, paralegal or investigator. One of our attorneys, with their significant experience in criminal law, will personally meet with you to discuss your situation. We offer Payment Plans, in most criminal cases, and we accept multiple forms of payment including all major credit cards. While it is common to be anxious and at times scared and angry; we want you to know that we sympathize with you and understand your need for peace of mind. Don’t lose confidence, don’t be afraid, and don’t lose faith, because you must remember you are presumed innocent until proven otherwise. To protect your constitutional rights and protect your presumption of innocence, please take action right now. We know you need help and we can help you!